Leaked fluid from fracking activities contaminated groundwater after a “serious” incident at a well site near Grande Prairie, a city in the northwestern part of the Canadian province of Alberta, in September 2011, reveals an investigation by the Energy Resources Conservation Board, which regulates the energy industry. The authority’s reports says that Crew Energy (NYSE:BTU) “inadvertently” released toxic fluids at too shallow a level in a natural gas well and then failed to realize the leak was occurring underground. “There were multiple opportunities to recognize that a problem existed which could have prevented or at least minimized the impact of hydraulic fracturing operation above the base of groundwater protection,” says the document. As a result of, ERCB has required the Crew Energy to develop and implement a corrective action plan that details measures to prevent similar incidents from occurring in the future. The ERCB is currently auditing the company’s action plan. Additionally, the firm will have to provide all analysis from its Alberta Environment and Sustainable Resource Development directed groundwater-monitoring program to the ERCB. In a statement, the Board added that incidents of this nature are very rare. 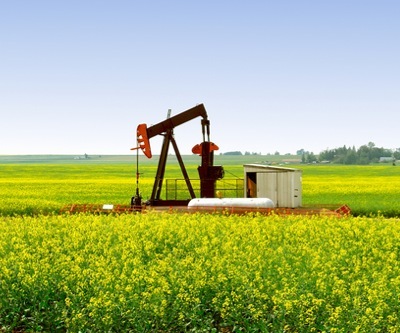 “More than 171,000 oil and gas wells have been hydraulically fractured in Alberta since the 1950s. In recent years, more than 4,000 multi-stage hydraulic fracturing operations have been conducted in Alberta,” ERCB said. A drinking water source near the place where the incident happened was not affected. Shares in Crew Energy suffered with the news. They were down about 2.6% to 26.05 at 11:52 am ET.